With the New Year, we all try to create better habits because we all want to be our best selves. This usually involves compiling a list of things that we wish we would do but don’t, whether it be short lived or not. Then, we ultimately feel bad because we have created unrealistic expectations. What if we forget about the New Year’s resolutions and instead live by doing that thing that feeds/nourishes you. These are the signs: it brings you joy, makes time nonexistent, is calming or grounding, and opens your heart. It’s the thing that your friends or family can tell you is emphatically a part of who you are –it’s the one thing you do that helps to keep your life feel balanced. For instance, I know the one thing that empowers my best friend is swimming. It always has. When she swims, she goes into a place of balance; for my brother, it’s playing the guitar and singing; for another, it’s cooking. For me, it’s doing creative tasks, especially writing. I took my first oil painting class in college and I would get lost in time. Two hours went by and it felt like 20 minutes- nothing else existed. The same happens when I write. There is always at least one thing in your life that does this for you- it appears to stop time and keeps you present. When we are present, we become centered, opening our hearts. From this place, it creates space in our lives to make change. What is the thing that does this for you? Don’t worry about implementing or keeping new habits for the New Year that will likely fall to the wayside. Instead, focus on refilling your inner well with the things that feed you. Make it a priority to do so on a regular basis, despite the demands of your life. For instance, I must write on a regular basis to refill my well. If I don’t write, I feel like something is missing, I’m internally off balance- my day doesn’t have the same kick to it. An expression of myself is lost because it is my form of meditation. If I can meditate on top of my writing, it’s a bonus, but my number one thing is my writing. No matter how many times I read how wonderful it is to sit down and meditate, writing is my number one priority. What’s yours? What gives you peace and empowers you to feel your best self? This is your own personal meditation. Do it on a regular basis, don’t neglect it. Push the other “important” things you have to get done to the side in order to do what you love and see the ripple effect. Watch how everything else falls into balance and creates more space in your life. Rejuvenated, time appears to stretch and we are more balanced, creating joy. You are worth it, no matter how busy you are and how demanding your life is. Make it your New Year’s resolution to keep filling your well. It ultimately empowers those around you to do the same, and you will serve as an example of the importance of loving yourself first in order to live joyfully. Now, go be your own Superman or Superwoman. Happy New You. Fill your well. 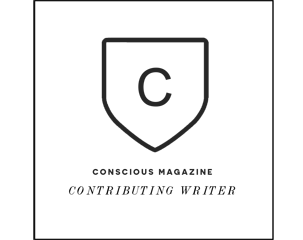 As 2017 approaches, the weather gets colder, and many settle in for hibernation time, I hope my blogs have created more compassion toward yourself and others and inspired you to create and trust in the power of your intuition. As you look forward to the new year, plan and expect wonderful things to come. Cheers to a holiday of love and laughter and a new year of abundance. 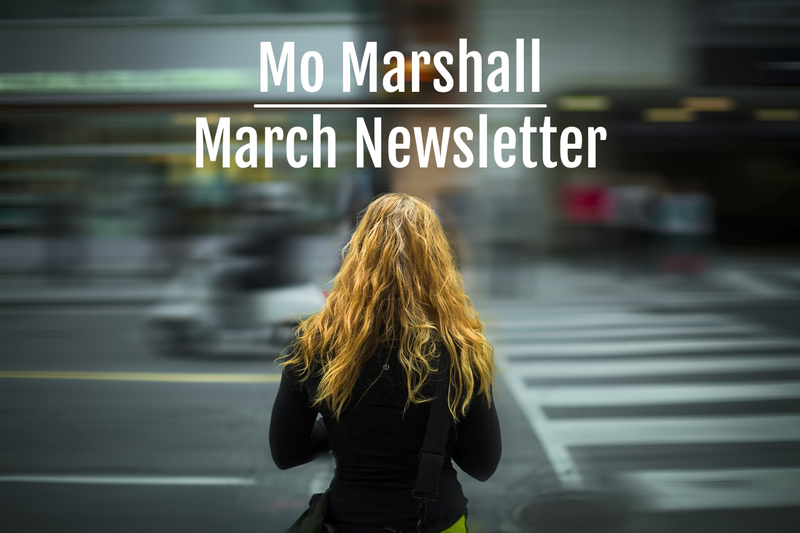 Mo’s blog exploded with content in the past year, including 10 blog posts and a Newsletter for every month! Check out any you may have missed! 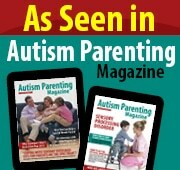 We were so excited to have been featured in 2 publications: Conscious Magazine and Autism Parenting Magazine. 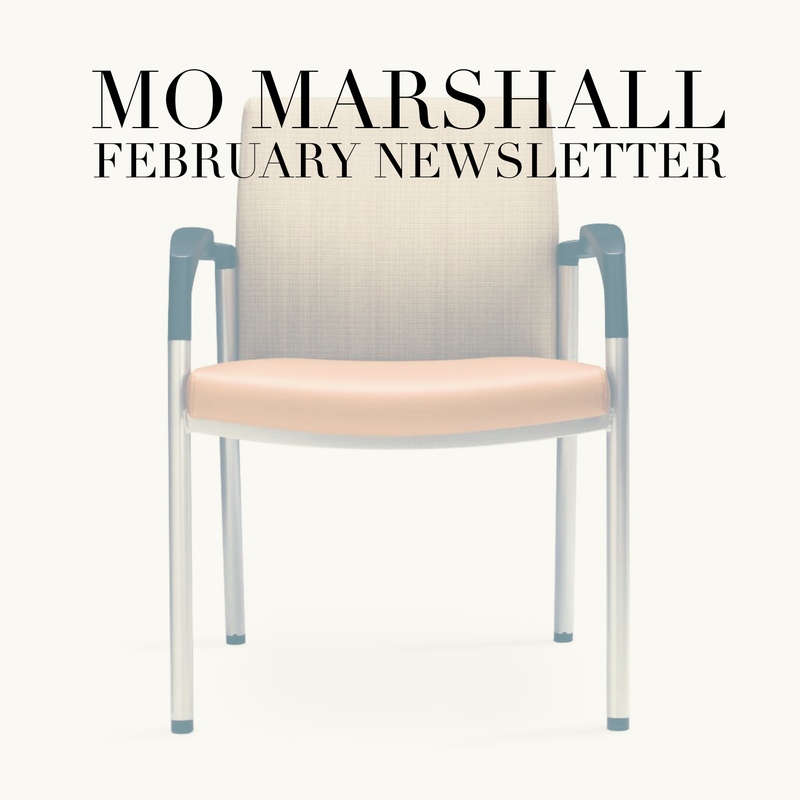 Mo started her podcast and interview series in the back half of the year. 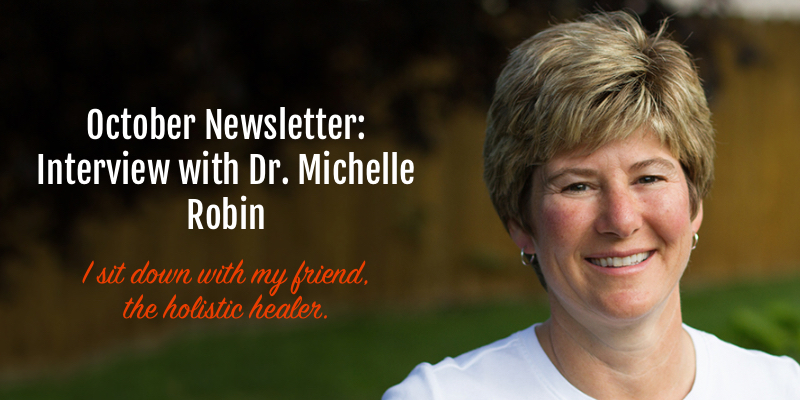 Our first episode features chiropractor and holistic healer, Dr. Michelle Robin. 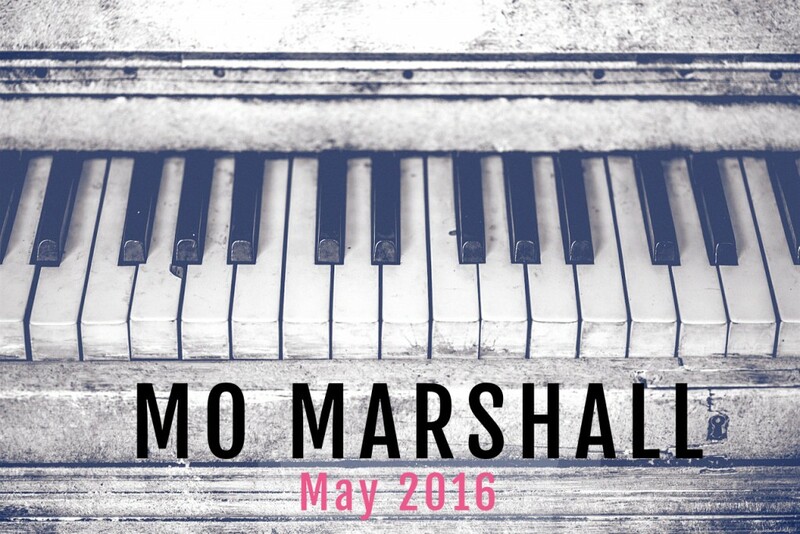 The MoMarshall.com website underwent a total upheaval. 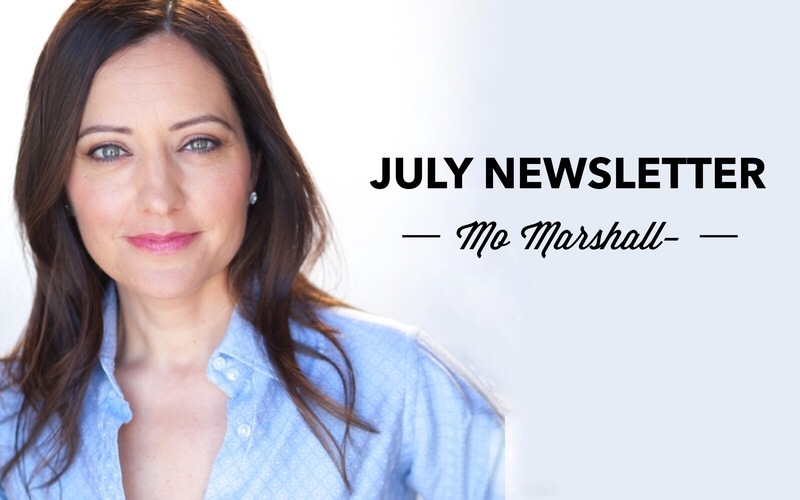 With our new format, there’s no excuse to miss a beat on Mo’s blog, Facebook activity, tweets, or her helpful insights on abundance, balance, and intuition. Thank you for being apart of this year with us. As we look forward to more, take a look back with us at some of our favorite moments from 2016! The holiday season is one of the most universally stressful times for people. There are people we love to see, people we don’t care to see, people we are neutral about and people who inspire. We see all these people around the Thanksgiving table. The important thing is to know and recognize who it is that makes you want to soar and who makes you want to take a nap. The reality is, we all have friends or family members who can be challenging or difficult. Whether you have 2 or 20 good relationships of friends or family, take a look at all of them. Who brings you joy? Who inspires you to think and dream larger? Who makes you feel smaller or dims your optimism? For the least amount of stress during the holiday season, It’s important to really take the time and ask yourself these questions because this gives you more room to not be reactive. And for those who don’t make you want to soar, practice not expecting anything else of them. Internally, thank them for the reminders they give you about what it is that does not generate positivity. We are all here for a purpose even if to our own eyes it’s not clear what that might be. If you consciously decide to accept each person for the role they have in your life then that is all that needs to be done. It’s an exercise of gratitude and tolerance. Perhaps you can look at that which you find stressful during the holiday season as a mirror to yourself of how grateful and accepting you are of others. No need for fighting or bickering, just accept whoever is not your favorite. This is maturity. It’s reality- specifically, the lens you use to see the world which directly impacts your experience of your holiday or life. I am fortunate enough to be surrounded by a good amount of people who are models of abundance and positivity: they have worked very hard in their lives and have created a vast amount of abundance in their every day – in their relationships, their jobs, their work and home environments. They are my favorite people to be surrounded by on holidays. The thread that ties them all together is curiosity and passion for life. Their personal mindset of abundance is physically mirrored by their environment. This is the reality they have cultivated and built for themselves. Do you see this in the people around you? Do they cherish the present and take care of the world around them, or are they a hot mess? So, how can you find abundance in even the most difficult family members? What I have found in people who are profoundly abundant is that they have minds that think so far beyond what one would call “the usual.” It is almost inevitable that they would find their way to the profound abundance they have. How does one do this? They think, imagine and dream up things all the time. They often speak almost another language because they are always using their imagination as a tool to create. That is, the reality they have created in their mind is so vast, that they forget that not everyone thinks this way. I would say the first step to creating more abundance is to dream regularly. But make it a dream that is as large as possible. Make it a dream that is not for yourself, but for others. What is the one thing in your life that you can dream of creating that will positively affect others and the greater world – that is what I’m talking about. Not a dream about the new car you want or the next new thing to buy. Dream about real change- change that touches someone other than yourself and your ego. This is the difference between those who create profound lives and those who create average ones- it’s one’s ability to and awareness of effecting the large picture of the world- not just your own reality. There is nothing wrong with what might be called a “simple reality” of only wanting to change your life – the world needs this. Accept it, embrace it and be happy about it, don’t dwell in the what ifs or negativity. If you are dissatisfied with your reality, this is when you have to challenge yourself to think bigger and create a new one. I challenge you this holiday season to be more accepting of the Aunt, Cousin, or the in-law that irks you; instead, have compassion for them – they are serving as an example of what is to not dream and imagine and see the larger picture. Have empathy and be kind. They prefer a different reality and there is absolutely nothing bad or wrong about that- in fact, it makes the world go round and what makes the holiday season even more interesting and another reason for that extra glass of wine! Listen to the audio of this interview below. Mo: Good morning! I thought if I could give my readers tools, it would provide another reference to put intuition at the forefront. So Michelle, tell me: what is it that you do, and how did you get onto this path of wellness? I happened to go to the chiropractor after I hurt my pelvis playing basketball, and while I don’t remember much about the chiropractic experience, I do remember they way they made me feel. I really fell in love with helping people feel better holistically. When I went to college, I wanted to be a chiropractor but I wasn’t very good at science. As a senior, I finally told myself I could figure it out. Now, I help people write a wellness plan for their life. People have plans for their finances, and they have plans for their vacation, and they have plans for their career, but they don’t have a plan for their most important asset, which is their well being. I look at the person form the whole perspective— mechanical health, chemical, psychological, and spiritual. My mini-book has ways and tools to think about your body holistically, with some tools. How do you define wellness and self-care? I think about wellness, or “well-being”— I like to use that word more, because I like the being-“ness” of it, and “well-being” in the dictionary means “happiness” — and I have tried to figure how I could be more happy through my life. I have a sprained ankle right now, and I don’t know about you, but it is hard to be happy when you are dealing with a sprained ankle, or a broken pelvis, or a broken heart, or a digestion problem, or depression-anxiety. So, for me, well-being is being able to move through life without your body, mind, or spirit getting in the way. So, self care or well being is self-love. How do you create your own self-care routine? I’ve amped it up, that’s for sure. For years, I did things like chiropractic care or massage care. I’d move, whether it’s walking with my friends, or biking or swimming, or taking time to be more present. Typically, before I leave for the office, I’ve done more self-care than most people do in probably a week. My routine is I’ll get up and drink a glass of lemon water, then maybe taking a few supplements based on my genetic profile, and then I’ll do an affirmation. Then I will go and do some exercises for my posture. I may do a bio-mat, a swinging machine I use for my lymphatic system, or I’ll go for a walk or a swim. I’ll have a glass of bone broth, or some juice. That’s kind of my rockstar morning. I probably start my morning that way 4 or 5 times a week. I intentionally try to not have meetings every single morning at 7:30. Then I go about my day and take care of my clients, have a lunch meeting with a friend, walk my dogs. Yeah, this is all part of my self-care. How does taking care of yourself like that tie into your intuition? Oh gosh, I think it’s such a big deal to really listen. I just went through the 23andMe genetic counseling. What they do is look where you may have some hiccups in your genes, but I had intuitively known that because I’ve listened! If I eat this food, and I don’t feel great from it, I am tuning in— to how I feel when I am around people, to the food I am eating, to how I feel with a song I am listening to. So I use my intuition so much and I don’t think I realized how much I used it until I looked at my genetic results. I knew I didn’t respond well to alcohol. I knew I didn’t respond well to taking NSAIDs. Not because I had a bad reaction, but I just knew it intuitively. So, I think people should really just quit listening to everybody else about their body. Take that as guidance, but don’t take that as fact for your body. Use your health practitioners as guides. I don’t know what is best for you, but I can definitely nudge you and guide you, and encourage you to tune in and listen. You define wellness as the “approach of mind, body and spirit.” What have you learned most about the power of energy and belief? That your body-mind-spirit is the most amazing tool, machine, car, computer— whatever you want to call it– people take it for granted. They value sometimes more their vehicle, Mac computer, or iPhone than they value themselves. I think we have to put ourselves in the equation more. What about your injury? When you broke your pelvis, what’s the biggest lesson you learned about your body and the power of belief? Showing up. Showing up for yourself, and taking that time. It’s easy for me to show up for somebody else. But I had to really turn that on myself, and then allow other people to show up for me. And taking time. I learned so much. I think I had the odds in my favor, because I was moving, I was grateful, I was fueling my body right. I was tuned in. I learned to really show up for myself. Do you believe that abundance and wellness are connected, and if so, how? God, I’ve never been asked that, Mo. That’s a great question. I do believe they are connected because I think it is hard to feel abundant without feeling happy in your mind-body-spirit. And once again, when I see the word “well-being” and “happiness,” they mean the same thing to me. Without a doubt. I don’t think you can feel abundant without feeling healthy. What are some small changes anyone can make that will put them on a path to wellness and make a noticeable difference in their quality of life. This is so simple, but it’s probably in the top 5 that people pick when I travel across the country. Drink water! It is so stinkin’ simple, but people don’t do it. Drinking water is huge. I think checking in with your body. Ask yourself, “You know what, I had that broccoli. How do I feel? I had that coffee. How do I feel?” I think that is a big-small change. Just really, really trust yourself. Also, having food before you have alcohol or caffeine. Here’s another big one: chew your food! Think about how you chew food and absorb life. Are you just surfacing through it; are you just really not even tapping in and not really tasting it? What’s the message you wish people would hear. What is the most important thing you wish people knew? Well, let me ask you: do you have a budget for your wellness? I would say where you invest your time and energy is what’s important to you. My second budget item is my well-being, right there by my groceries. My groceries are probably number 3. I want people to know that you either invest as you go or your body sends you a big bill later. Mo: Well, that’s all my questions. Michelle: Oh, Gosh you are amazing, Mo! Mo: I think you are amazing! I love this, because I think it’s so important. You are doing so much for people. You are really a healer. Michelle: I am just trying to encourage people to love themselves enough to care of themselves. Mo: You are doing it, though. What is that one thing that you are constantly trying to figure out; a situation where you might not have a concrete answer to? Usually, that thing that keeps you awake at night. It is what you think about when you have small pockets of time. It’s that situation that you want changed or to appear. It’s that thing you want, but are afraid won’t happen. Now, I’m going to ask you to stop the internal chatter in your head. This is the part of yourself that tries to be in control of the uncontrollable. First, take a breath and start by offering that part of yourself some compassion. Acknowledge that you’re scared and feel out of control. That’s okay, but allow yourself to take some space from that thing. Trust it will unfold as it should and tell the scared part of you that you will not let it run your life or take up your sleepless nights any more. That’s it. You have power. Decide to let it go. It’s going to be okay. Give it to the universe or give it to whatever higher power you believe in. Release it and with that, decide you will not let this “want” take over your free moments of space and perhaps, decide the answer or outcome isn’t that important or may not be the point. What will be will be. We have a choice to trust ourselves, our paths, and the universe. It’s when you release the questioning and struggle of “trying to figure it out” that a resolution appears. Be patient. Think of how much time you have put into this thing that takes up your headspace and give it equal time in patience for the outcome. Offer comfort to yourself because it’s going to be okay. Know that the best things unfold naturally on their own. You don’t have to agonize over it. You don’t have to create a schedule, put aside time, or map it out five different ways. You no longer need to think of countless different strategies to create the outcome you believe you want. You don’t even have to hope for it or think about the what if. Just surrender the outcome. Be brave. Surrender your challenge and trust in your outcome. It might be different than you were trying to create, nudge or force. Go back to the decision of being brave and letting it go. Set it free. This is bravery at its core. This is what makes us human. This is what makes all of this a journey. This is what makes you the special and unique soul that you are. There are no duplicates of you. Smile at that thought and then be at peace, because you have won your challenge simply by letting go. Are you on track and in the flow? It’s been a busy June and July- I don’t know how that happened so fast, and I’m sure most of you feel the same. I really haven’t stopped. The great thing about summer is that it brings us a little more flexibility in our lives and flexibility brings unexpected surprises. So, I sit and type when I can to see what comes to my fingers, which sometimes surprises me, and I use whatever energy I have left in me for creating. The theme that has been most prominent when I have free moments is how much synchronicity and intuition are at work each day and therefore, creating flow in my life. It makes me smile every time the universe reconfirms that this entire thing called life is all about energy. If you read my blogs, you know I am a huge believer in energy and listening to it. As a writer over the past month, my energy has not been so focused on writing blog posts; instead, I’ve been focused on other writing projects that I’m making progress with. The funny thing is, if you are out of your usual routine (for me, not living in the city) a part of me questions myself and asks if I’m off track or out of my flow. “Flow” is when you are firing on all cylinders and on track towards the goals you want to manifest. It takes me only a few minutes to know that I’m not out of my flow one bit. I know this because the universe tells me so almost every day in different ways via different experiences and people. 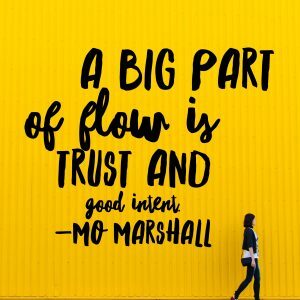 How do you know if you are in your flow? Do you know how to recognize it? Take a moment to check in with yourself and ask: Are you in the flow? Your intuition is on point. The way I know this is my instincts are on target without anyone telling me in words exactly what is up. Specifically, energy speaks louder than words for me. Since June, I’m primarily out in the Hamptons working, going back and forth to the city as needed. It was a day that I happened to be in the city when I got the intuitive hit that I needed to go back out to the Hamptons immediately. Even though I would leave in just a few hours, I decided to check in with my colleague who was out there. This was intuitive hit #1. My colleague texted me back that there had been an issue with a staff member. She did not give me specifics, but I did not need to know them because my intuition told me to get on the next bus out (Intuition hit #2). I called my other colleague and told him that I didn’t like the sound of a text I got and I needed to get on the next bus to the Hamptons. He is also intuitive and understood that I needed to go. Before I knew it, I was on the next bus, he found out specifics and let me know that indeed it was a medical emergency with staff and I was needed. More than three times in one day the universe was saying: you are on target, you are in the flow. You run into people you know or people you want to know while out and about. You know you are in the flow when this happens because your energy is attracting a similar vibration. This could manifest by running into a friend, seeing someone you admire, someone who can help you or that you can help. Sometimes it happens when I’m out with a friend. This is confirmation that our energy together as friends is complimentary and we are in the flow together, which is always more powerful than manifesting alone. You get what you ask for. For example, this week, my boyfriend and I walked into a packed restaurant and said to me “I just want a quiet table outside.” Immediately we were sat at the only available table, the exact one he just mentioned to me. When we put out what we want to the universe, especially with simple things like a table and the universe delivers, you know you’re in the flow. You are in the flow and manifesting your desires big and small. You are a step ahead. When people say to you, “I was just thinking that.” The other day, my colleague turned to me and said, “Thanks for organizing, I was just thinking this morning, that it was a mess.” The truth of the matter is, I can get into a state of being an organizational junky and I was 200% in this mode, but of all the things to organize, I was drawn to organize the one thing in our office that was bothering her. Being drawn to something and receiving confirmation that it is helping someone else happens multiple times a week, if not every day for me. 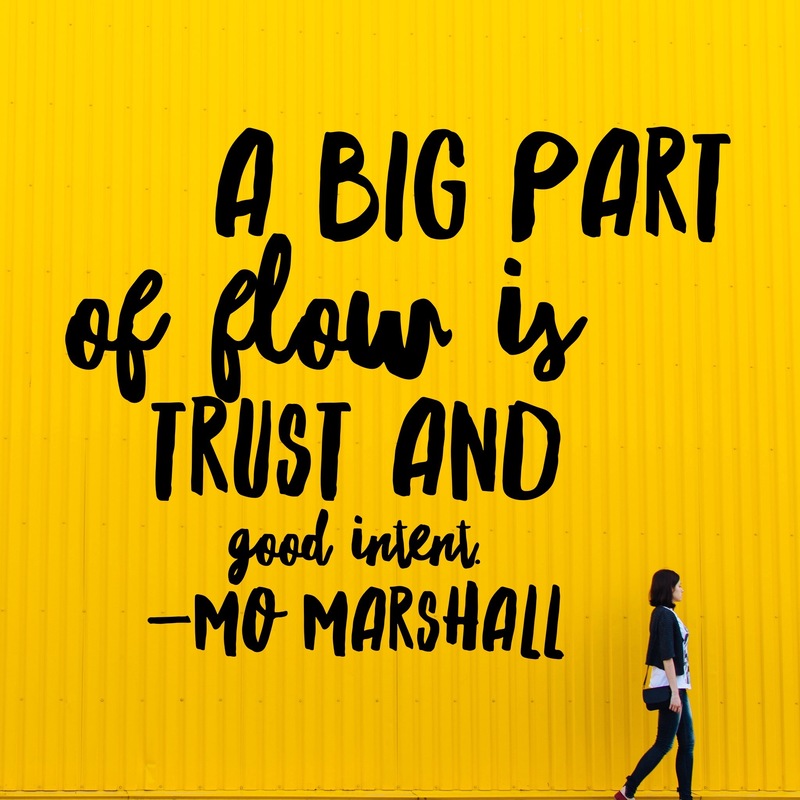 Most importantly, a big part of flow is trust and good intent. When you have a whole hearted approach to life and stay positive, things can’t help but flow to you. 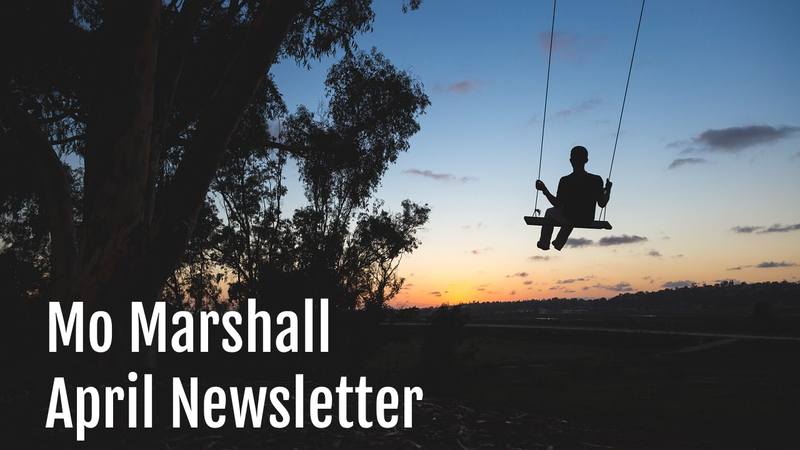 For instance, my brain has been saying, “Get your newsletter out!” but my intuition is saying, “Just relax. I’ll tell you what you need to know what to write when the timing is right.” Apparently the timing is right now. All of the above are examples that the universe saying, you are there, just keep going and know you are doing what you are supposed to be doing, despite what your reasoning brain might be chattering about. Pay attention to the subtle and not-so-subtle ways the universe is supporting and speaking to you and say thank you. Do you recognize the harmony in your life? What is the one thing present in every minute of your day? Do you recognize the harmony in your life every day? That is, the flow of your morning rituals, your everyday schedule, the relationship with your mate and perhaps your children. What about the relationship with your family, with your in-laws? What about the harmony between you and your co-workers? Do you work together easily, or do you push against one another? The harmony of putting a meal together. Is it quickly put together with no thought of the power of nourishment, or is it something you thoughtfully look forward to because you know it affects how you feel for the rest of your day? What would make this situation feel better? Is your ego taking over? If that is the main cause of the discord and disharmony maybe you need to set your ego aside, by doing so, put yourself back in check. What is the mutual or shared end goal? Creating or maintaining harmony often involves compromise or “taking one for the team.” Try viewing everyone in your life as a different instrument. How can you adjust from this standpoint? Once you find a source of flow, the disharmony will go out the window as quickly as it entered. This will happen because you are not pushing against your conflict anymore and it has room to move. You have, in a sense, created a dance– a dance of energy. It might be helpful to simply put on some actual music to give you a concrete example of harmony. Why does music heal? We all know the answer- it’s harmony at its core. It’s the most viable, concrete example we have of it, yet it is in everything we do, every single second of the day. If you don’t feel harmonious in areas of your everyday life, perhaps you can think of it as a song. How can the song of your life create a melody? Can you steer a conversation differently? I like to ask myself in the morning: how can I make everything I’m doing harmonious so that I start my day peacefully and centered? Did I get up in a rush or did I let myself ease into the day? I love quiet in the morning. It’s the time I enjoy most to myself because it sets the tone for the day. Do I feel like a tea, something to eat, do I want to meditate, stretch, or write, or do I simply want fresh air right away? The answer is different every day and I adjust my flow by listening to my feelings I’m fortunate in the fact that I have quiet mornings available to me, but I know most do not. If this is the case, I recommend finding the three most important things to you that you think would make your day flow better. Give yourself extra time getting to work and appointments. Take 15 minutes to walk outside during your work day for fresh air. Put things away in the right spot when you are finished to avoid piles of things left undone. Every little action and thought contributes to your flow. Work with people’s energy, not against it. Steer yourself towards nourishing food that creates harmony in your body so that you feel balanced, alive, and vibrant. Once you have recognized the source of discord, go harmonize and play the music of life. Harmony is a form of genius. We should remind ourselves of this fact because it can make our lives sing. I wish you a harmonious Memorial Day weekend! What is stopping you from reaching that dream? Have you ever known someone who has big dreams or plans for themselves, but for some reason, can’t seem to make any progress? Someone who idealizes a certain job, lifestyle, or even partner, but hasn’t made any strides in that direction? Perhaps this is you: Are you putting something off ? Are you waiting for the “right time”? Maybe you are rejecting opportunities that you think are not perfect, but could be a stepping stone towards that thing. Or, do you just lack confidence in yourself toward that dream? Is there a longing for something in their or your life that you aren’t paying attention to? Is anxiety taking over? Pay attention to your anxiety. It’s telling you something; it is pulling at you. It might be the feeling that you are missing something. Once you have determined what you are yearning for, action is the most immediate way to calm that anxiety. Anxiety is not being fully present, and grounding yourself through action will empower you. It is in peaceful silence that anxiety has no home. Is fear stopping you? There is always going to be some fear in going after what you want, because actualizing your dream involves risk- risk that you may fall down or screw up, or make a fool of yourself, or lose money… The fears are easy to list. There is no reward without risk. But what are the possibilities if you succeed? Go ahead, write them down- you might be exceedingly happy, empowered, healthy, or joyous. Write about the enormous abundance that you imagine. How invested are you? How much time, energy, and focus are you dedicating toward this dream? Sacrifice and making hard decisions is a part of journey towards that dream. You simply must put the time in. No one gets a free pass. Is it too late because you’ve reached a certain age? Do you think it is too late because you have “real-life” responsibilities: bills, family, children, health, friends? When is it really too late to keep working towards your dream? I am an optimist at heart- a dreamer- and I can get caught up in the dream and nearly float away, but I also have a grounded, practical side that wants to see results. When do you call it quits or decide to modify your dream? My simple, quick answer is: When there is no longer joy in your pursuit of this dream, then you have to find it in yourself to let go and modify that dream. Are you asking everyone for their opinion on the topic? It’s always good to turn to those few people whose opinion you admire or that someone you meet who has some connection to what you are seeking. When you are looking to everyone for assurance as to whether it’s too late or not, you are going down the path of it being too late. That means you don’t believe you can create that something that you want. You can create that something, you just have to decide to create it. It’s when you are looking to others to confirm (“Can I do this?” or, “Did I miss the boat?”) that you are on the border of missing the boat. What is it that you are looking to create? Go ahead: sit back and think on it , but it shouldn’t take that long. What do you really, really want? What do you yearn for? What was the last step or action you took toward your dream? You must invest time in your dreams. Have you? You will know you are seeking this dream for the wrong reasons if you just can’t find it in you or the time to take action toward it. Are you just talking about it? Real action- taking chances, making concrete plans, and working at it in any possible way that you can. If you are not, I think you need to reevaluate and consider if this is something you think you want, but don’t actually desire. My final question is: Are you seeing results from your efforts toward this dream? If you are, keep on the path. If you aren’t, the modification may be to keep at it, but “on the side.” There are times that you do have to say, “I have given this my all, now I need to change course because it just isn’t working.” You aren’t giving up; you are making a choice to reroute your journey. Letting go is not a negative thing. It may initially feel uncomfortable, or it may actually give you relief. What you are doing by letting go is creating flow. Flow brings new things and new opportunities, often sparking new ideas and inspiration for those things that bring you joy. Creating a new map of life can bring you some of life’s biggest surprises and joys, but you must let go of what is in one hand to be able to receive something new. Finally, we all have our own journey and our lives unfold in different ways. You do not have to conform to the typical anything in life, you just have to remain true to revealing who you are to the world. I wish you confidence and empowerment toward your dream. You can do it. Do you like what you are reading? Follow me on Facebook, Instagram, or Twitter! It’s something that can so easily happen to anyone- you can look up one day to discover your life, filled with so many commitments and responsibilities, is running you. We are always looking to find balance, and it can become more and more challenging if we don’t take the reigns, because life can take a hold of us. I have to check in with myself on this regularly. It’s my nature to be a worker. In high school, I worked three jobs during summers. That momentum has never stopped. The difference is that now I’m more responsible for keeping balance and not letting life run me. So, how do I know when I’m in charge or my commitments have taken over? 1. You are over exhausted. It doesn’t even register that you are exhausted because you’re just going through the motions. The days feel longer than normal. Perhaps you are 15 minutes late when this is not your usual. At the end of the day, you have little energy to do anything other than do the things that take the least effort. Exercise is not even in the cards because you are drained. You fall asleep as soon as it is possible -everything else is put to the side because the only thing you feel you can do is close your eyes. I know I’m over exhausted when the first thing I want to do when I get home from work is cozy up on the sofa to read or surf the the internet. That is my “least amount of effort” mode. What is your least amount of effort mode? 2. You haven’t done any of these three lately: Laugh, Sing, or Dance. If you have not done at least one of these three, then life and its demands have taken over your personal needs and happiness. All of these three are forms of joy, and we all need joy in our lives to be balanced. No matter how structured you are, everyone needs a little room for spontaneity in their life. If you have become so rigid because of time constraints, demands, or responsibilities, then you need to take a step back and breathe. Break out of being a creature of habit and mix things up. 4. Planning for fun isn’t happening. Are you finding that you are so busy that you can’t find time to socialize? Does “fun” sound stressful? If you can’t find the time for fun, that means you need down time. We all have at least one or two people in our lives that we love to see or talk to, who uplift us, and if the idea of seeing them sounds like too much work, then you know your answer. 5. Creativity has been put to the side. Creativity is balancing. Everyone has their own creative outlet. It could be going outside, doing yard work, tinkering around the apartment or house, cooking, decorating, reading magazines, music, dancing, or planning a night out. What was the last thing you created? Can’t think of it? There is your answer. Emotional Well-Being. If you are going through life without taking a moment to honor your emotions, you are shoving them to the side to be dealt with “later,” which can eventually lead to an emotional uprising that you can’t ignore. This could affect any and all of your relationships: your family, friends, or your co-workers. This is because Spirit will only allow you to push it to the side for so long before it rears back at you that you are missing the good stuff in life by your numbing behavior. Physical Well-Being. When you ignore the signs that tell you that you are imbalanced, life can catch up to you and literally stop you in your tracks physically, as well. It can be a physical ailment, an actual event that happens to ground you, or something you enjoy being taken away from you. Sometimes, it’s a minor course correction by coming down with a sickness that keeps you home for two days. If you are greatly imbalanced, you will be stopped from doing something you love, which will let you know who is really in charge. These challenges can be our greatest teachers in life, which ultimately is the lesson that you need to slow down. It doesn’t have to be this way, but when you are on autopilot for an extended period of time, you are giving the universe and Spirit no other choice. How do you stop your life from running you? 1. You have to recognize it and want to stop it. This is the first major way of stopping this cycle in its tracks. It’s very easy to let life run you. You might not realize that you are no longer in charge. Your obligations and your responsibilities take on a life of their own and you realize something is out of balance. 2. You need help: You can’t do it alone. When you’re on autopilot, you can forget about larger networks who can help. Delegate some of those responsibilities and allow yourself support. It won’t be easy at first, but be patient with the transition. Life can be rich. It can be the chocolate cake with ice cream and berries on top. Or, if you don’t make time to deal with the “extras,” it can just be the cake on it’s own. The “extras” can only be added when you create space for down time and they are what makes life even sweeter. I wish you all the “extras” you desire. So should you. Sterile. Cold. The waiting room of the fertility clinic is somehow packed at 8 in the morning. I have to get my blood drawn. At 40 years old and never having a child yet, I came here to find out my level of fertility. Only in Manhattan would you walk into a room like this to standing room only. Looking around at all the couples in the room, I ask myself: am I really here alone? This is uncomfortable, but the alternative takes away my power and being here keeps it in check. I’m being proactive so that I can make informed decisions. Knowledge is power. And it won’t affect me in my day-to-day. This is what you do. It can be distressing, but you just have to create room for it. It’s raw, but the powerful stuff in life is raw. So now what? How can anyone relate to this– from a guy’s perspective, or even from another woman’s perspective? My most immediate answer is that this is real. I am momentarily uncomfortable. I don’t want to be in this situation, but it is just what it is: An experience. I don’t have control over all the circumstances, but I do have control of my perspective, and I choose positivity. From this positivity, creativity expands. Answers or solutions surface. This is the empowerment of making decisions and putting one foot in front of the other, even though you may not have the answer in the moment. Whether you are in a fertility clinic or at some other crossroad, what I know is to have faith, including faith in ourselves and our decisions. This is a part of the soul’s human experience – that clash between having faith vs. worrying that it won’t work out. I have a life for me that I love in Manhattan and it has been a dig-in and work- hard journey. It is still not my “perfect” place, but I’ve made some pretty good progress. I continue to work at attaining my desires, but sometimes it feels really hard. I know at this point in my journey that it doesn’t have to be. I know it is an outdated conditioning that believes only hard work is rewarded. What about replacing that cliché saying to, “all work done with positive intention is reciprocated.” To believe that things don’t have to be hard can feel unimaginable, but it doesn’t have to be. You just have to decide to show up in a way that is positive and responsible. You don’t have to take my word for it, because you will feel it and know it when you do. How do you not let fear win? First, by keeping your perspective positive. Second, reaching to those who wholeheartedly support you and are there to listen when maybe you aren’t feeling so positive and you need that boost. It’s a form of trust, which comes down to the first mention of faith: Trust that your tribe, or those you are sharing this information with, are really there for you to help you sort it out. Third, go have fun and live your life. We do it in this playground called Manhattan. We are in shared quest together; that is, we are not alone. The most important message, no matter what your challenge, is that we must leave space within ourselves ready to receive goodness and love. When things feel uncertain, it’s easy to fill all our minds up with worries and concerns. But is there room for the good stuff? The good stuff really boils down to one thing: love. We have to make sure we have not filled ourselves up with drama. For me, I have to quiet the chatter and fear of what could crush my heart’s desires. Instead, I choose to create a big space for happiness and fulfillment. I live an unconventional life and I have to be sure the opening in my heart for those experiences that I desire might be unconventional as well. What is it that you are longing for – a new relationship? an easier life? health? a new job? 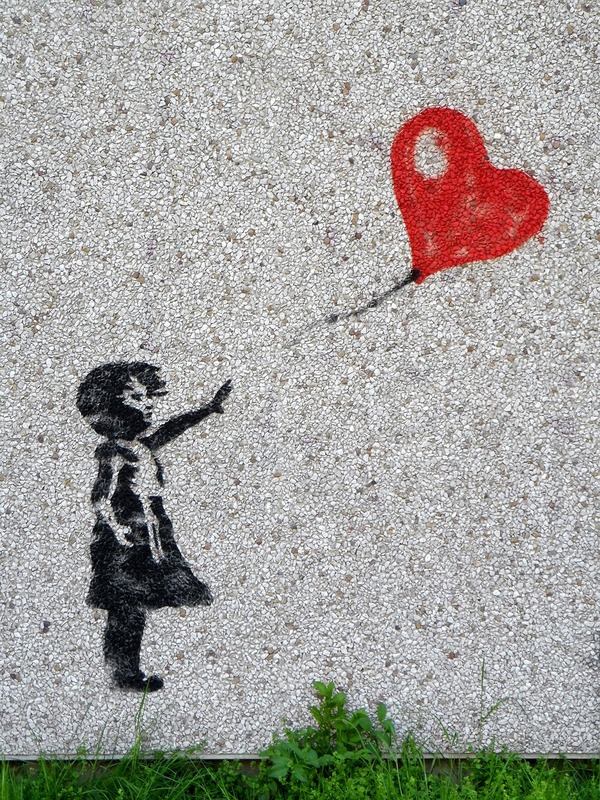 Now sweep away the drama: that anxiety, the worry, the angst. To move that energy is different for everyone – I make quiet time for myself, I do my best to meditate, walk in the city, pilates, and hang out with my dog, Cooper. Make a big clear space for the good stuff, whatever it is that you want. Make sure your good stuff space is much larger than the bad stuff- see it. If you’re struggling, try to change your perspective. I know my friends and I that work ourselves to the bone are good, intelligent, kind, creative and deserving souls who want just one simple thing: to create the families we desire. I’m going to make sure I create that space in myself and keep sweeping away any doubt or anxiety that makes me think otherwise. I hope you can do the same for your desires. You may not be a single woman living in Manhattan, but it doesn’t matter; wherever you are, whoever you are, or whatever situation you are in, we all have dreams that we are trying to manifest and we must remind ourselves that it’s making the room and believing in them that is the most important tool we have. Love really does conquer all, you just have to believe it, feel it in your bones, and let it permeate every daily experience you have. If you liked this article, please pass it on to someone else who is working towards their hearts desires or give me a like at the bottom of the page. Tell us in the comment box below about your desires and how you are going to push away the dust to create room for your dreams. Create the space and believe.